Your Company Travel Partner in Sri Lanka. Looking for a Sri Lanka Tour Company to be your Partner, who can carry out business on behalf of your touring company? If you are a foreign tour operating company and looking for a Sri Lanka partner to carry out your operations on commission basis, you had come to the correct place. 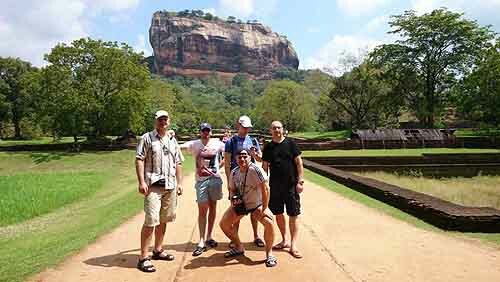 Yes, Ceylon Tusker tours can handle any number of tourists specially those coming through charter flights and cruise ships. We will provide best service to them with their transport, accommodation, food and entertainment in Sri Lanka. We can provide English and other International language speaking guides. We can receive your clients through Colombo airport, Matala airport, Colombo Harbor or through Trincomalee harbor. Transport them in latest A/C Luxury coaches. Provide them with 5 - 3 star hotel with B/B or full board service. We will take them on local tour according to your itinerary in a timely manner. Bring them back to hotel and drop them back in the airport or harbor according to their travel schedule. We can provide any number of latest cars, mini coaches and luxury buses (46 seater) and star class hotel rooms. Whenever it is necessary we can provide sea-plane and helicopter transport facility too. 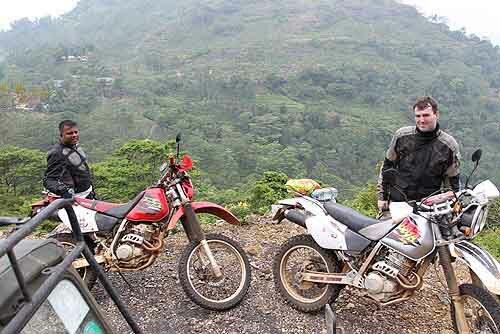 Also we can take care of your motorcycle riders who are coming here to make their Sri Lanka Motorbike Tour. They will be received from the airport, transferred to their hotels, provided with 250 CC motorbikes (We can provide up to 85 units at a time) and will be taken on tour. Meals will be served on the way and night rest will be arranged. After the tour is over we will send off them at the airport according to their scheduled plan. Address : Ceylontusker Tours, 46, Katuwapitiya Road, Negombo - 11500, Sri Lanka.